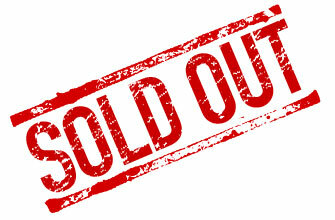 Chicago DJ Equipment Online Superstore - PRO DJ, DANCE AND PARTY LASERS AT THE LOWEST PRICES! 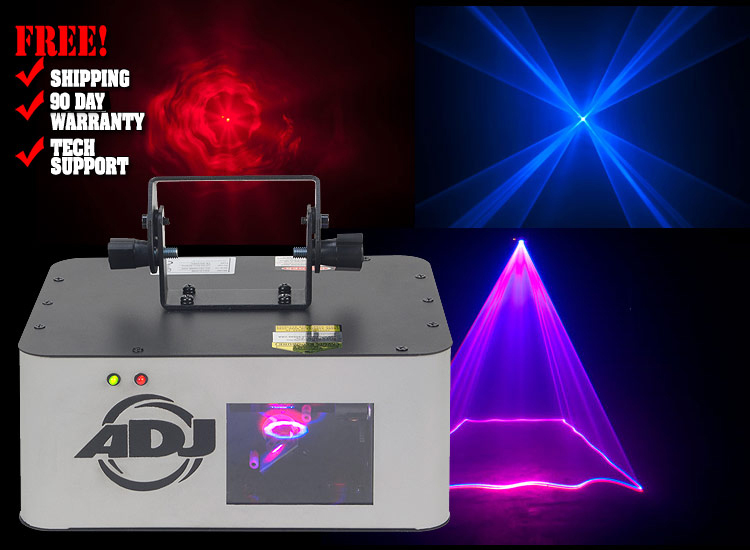 The Ruby Royal, from American DJ, projects 20 red, blue and magenta laser patterns! This laser effect features one 150mW red laser plus one 150mW violet blue laser, and is approved by the FDA! The Ruby Royal is perfect for small clubs or the entertainer on the go because it is light in weight, portable, has wide coverage and is easy-to-use. Just turn it on and let it run in sound active mode through it’s built-in laser patterns. 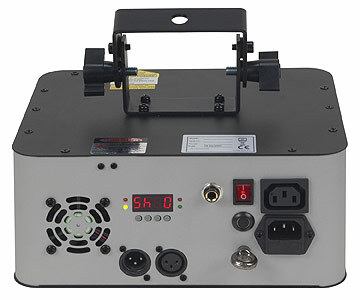 Link up to 18 units using 3-pin DMX cable and IEC In/Out power connectors to create an exciting laser show above a dance floor, or on a wall or ceiling with or without the use of fog. The Ruby Royal also operates in Master/Slave or DMX modes. It features a digital DMX display for easy navigation. Users can also use the UC3 easy-to-use controller (sold separately). American DJ offers a manufacturer's warranty for products purchased from its authorized dealers such as 123dj.com. In addition, American DJ from time to time, offers rebates and other special opportunities for products purchased from its authorized dealers. American DJ does NOT offer a manufacturer's warranty for products purchased from anyone who is not an authorized dealer and it does NOT offer rebates or other special opportunities for products purchased from anyone who is not an authorized dealer. Anyone who buys a American DJ product from a non-dealer is buying a product that carries no warranty and is in no way guaranteed new from American DJ. BUYING DIRECT FROM 123DJ.com GUARANTEES A FULL WARRANTY FROM AMERICAN DJ. WE ALSO GUARANTEE THE LOWEST PRICE IN THE WORLD ON EVERY AMERICAN DJ PRODUCT, NO OTHER DEALER ON EARTH HAS EVER BEEN CAPABLE OF OFFERING A LOWER PRICE TO CONSUMERS, PERIOD.